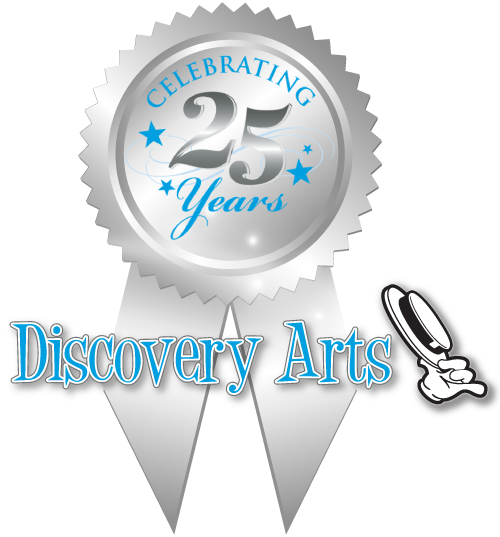 In recognition of the powerful impact of the arts on these children, Discovery Arts was formally incorporated as a 501(c)(3) non-profit agency in 1998 with a mission to expand the delivery of our “Arts Adventures” to many more children in many more hospitals. All of our programs and services are offered free of charge to the hospitals, patients and their families. We began by serving children in a small 14 bed unit at Jonathan Jaques Children’s Cancer Center at Millers. We are now honored to serve more than 3500 children and their families each year, providing nine programs in six southern California hospitals, and with our first step out of California and into the nation, our newest program at Mercy Children's Hospital in Springfield, Missouri. ​All of our programs are offered free of charge to the hospitals, patients and their families. With support from corporations and private foundations, a committed circle of private donors, art supply manufacturers and an enthusiastic corps of volunteers. ​Through our unique, creative Arts Adventures in music, art, dance and drama, our programs help meet an enormous need for critically ill children and their families. Trauma, isolation and horror are replaced with safety, friends and laughter, which positively impact their treatment and recovery process. ​Very Special Thanks to the Festival of Children Foundation for their producing of this video! Your support of just $15 or more a month, will help us bring our Arts Adventures to one child with cancer, serious blood disorder or life threatening illness. Choose to help one child at $15.00, two children at $30.00 or three children at $45.00. This is an ongoing service for an ongoing need. Your monthly support keeps us going, so we can continue to bring much needed relief to these special children who are facing the greatest fear of all.